This drawing is my first official album cover commission. When I was young, it was a dream of mine to create album covers for bands. I grew up listening (and still do) to hard rock and heavy metal and my style naturally relates to this genre of music. I thought that one day I would draw album covers for these sort of bands. 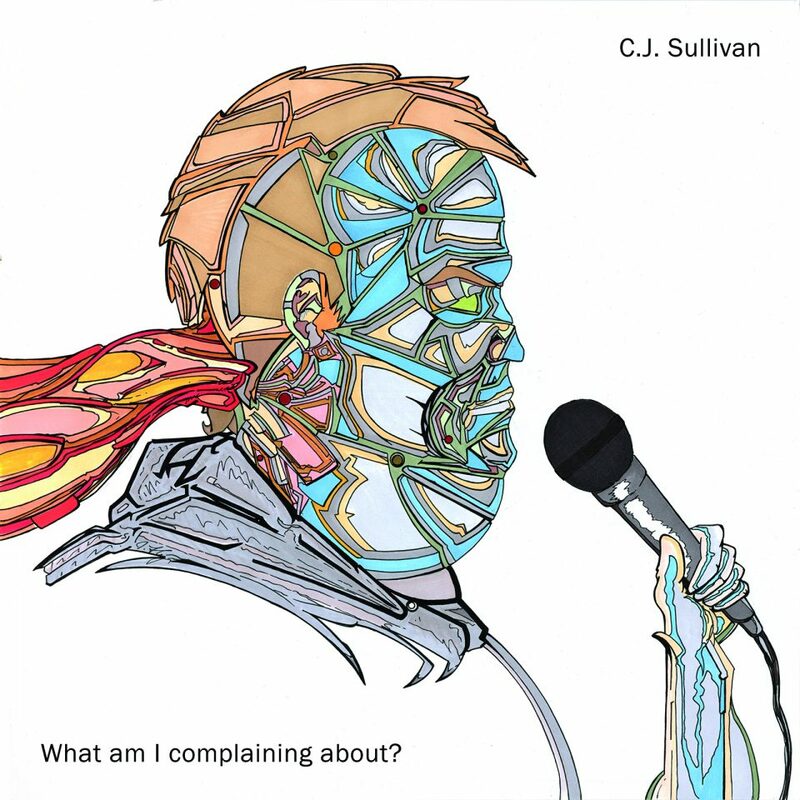 I never dreamed that my first album cover would be commissioned from a stand-up comedian. Life is funny, and so is this man. Similar angst, but more laughter than the tunes I listen too. He is a great comedian and a solid bar-mate. I am honored to call him a friend. The drawing itself went through numerous maturations until I reached the final composition. He delivers some blue material out of the fire that comes into his head. I sought to illustrate this concept with the drawing but in a new way for me stylistically. I didn’t want to make some photo-shopped image or just a drawing of himself in a realistic fashion. I wanted to push it further conceptually and make good use of the negative space. I show the red fire stimulus pumping into his brain through a sort of conduit and the result is the blue delivery shown in his face. Simple and complex. That was the mission and I believe that is the result. I am eager to take on more album cover commissions that challenge my creativity. The is the first of many.